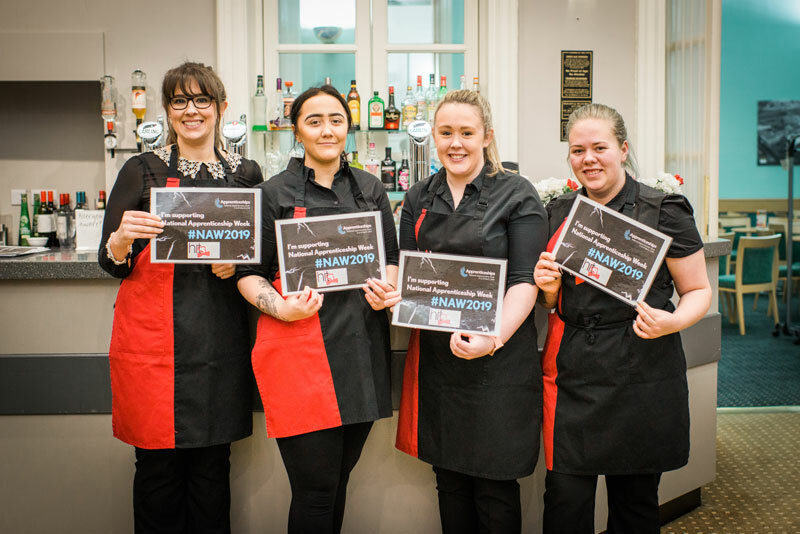 HIT Training celebrated National Apprenticeship Week in style last week by bringing employers and businesses from across Cumbria together to celebrate the positive benefits of apprenticeships. On Tuesday 5th March, HIT hosted a special celebratory five-course meal at Tullie House Museum & Art Gallery in Carlisle. 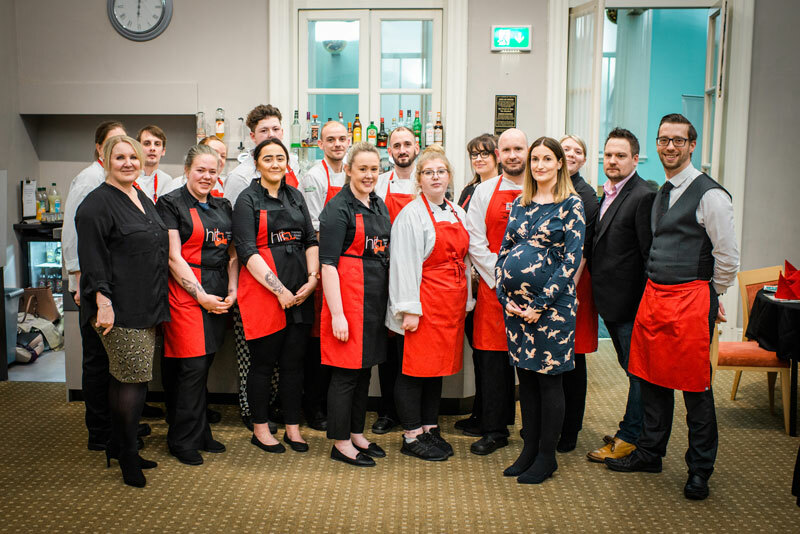 The menu was completely designed, prepared and served by a team of apprentices to showcase their skills and talent to 40 guests made up of employers of local businesses across the region. The apprentices involved were Eddie Messenger from Lake District Hotels - Lodore Falls near Keswick, Wesley Mattinson from Lake District Hotels - Lodore Falls Hotel near Keswick, Luke Parkinson from Kew Green Hotels - Holliday Inn in Lancaster, Jemma Brown from The Beam & Brycg in Preston, Marie Grufferty from Center Parcs – Whinfell Forrest in Penrith, Stephanie Brade from The Beam & Brycg in Preston, Kimberley Ellwood from The Inn at Brough near Kirkby Stephen and Kristen Pearce from Shearings – The Strathmore Hotel in Morecambe. Guests enjoyed a welcoming drinks reception, canapés and a five course meal with live music from Lucia Lipscombe. A raffle also took place and £200 was raised for The Springboard Charity.